Blood pressure is a measure of your hearts’ strength, which means the pressure your heart pushes the blood through your body. There are some factors that can influence this number. Three body factors that affect the blood pressure are: cardiac output which stands for heart strength, blood viscosity which is the thickness of the blood, and the last one is total peripheral resistance that depends out of blood vessel walls. Usually, for this, we use sphygmomanometer on the upper part of the arm, where the dent of the elbow is, on the ventral part of the arm. This manometer has a cuff that we put around the arm which fills with air and below, we put stethoscope which is used for auscultating the sounds of the blood flow. When the cuff inflates with air, we slowly deflate the air from it, carefully listening to the blood flow, where the first sound is systolic pressure and the last one is diastolic pressure. When you see a reading of a blood pressure that says 120/80, which is considered the normal pressure in adults, there are two numbers. The upper or the first number 120 stands for systolic pressure. This number is taken from the manometer reading when you hear the first blood flow beat. The sound represents the ventricle contraction, where the blood is being sent to the body circulation. The second sound is diastolic pressure. The number 80 is a point where the pump doesn’t recognize the sound anymore, which means the vessels are fully dilated and the heart is being filled with blood. Since we use manometer for this measurement, the unit for the pressure is in millimetres of mercury (mmHg). High blood pressure is an important sign of cardiovascular system disease. Cardiac output (CO) is the amount of the blood that heart pumps to the body in one minute. This is sent from the left ventricle to the aorta and to the rest of the body. It consists out of two components. The first one is stroke volume (SV) and the second one is heart rate (HR). Heart Rate (HR) refers to the number of how many times the heart pumps in one minute. The unit for this is a beat per minute (bpm). We can measure this as a pulse on an artery like a radial artery or any other artery we usually measure (carotid, femoral, popliteal, dorsalis pedis, brachial). Normal numbers for the heart rate is between 60-80 bpm. When that number is above 100 bpm, it is called tachycardia which means the heart is pumping in a faster rate. Below 60, it is called bradycardia. Stroke Volume (SV) stands for the quantity of the blood that is being sent from the left ventricle to the aorta and the system. There are some factors that can affect the volume and there is also an equation for it. So, if EDV is about 120ml and the ESV is 50ml, the stroke volume for the heart is 70ml. Using this, now we can take the number of a stroke volume and measure the cardiac output. If the volume of the blood or a heart rate increases, it will affect the cardiac output or as it called “Q”. It is important for stressful situations where the body needs more blood supply, so it can pump up to 10L per minute. This happens naturally when we are physically active or in some other conditions where the actual condition demands more blood or the heart can’t manage to send even 5L. Let’s say the diastolic pressure is 70 and the systolic is 120 mmHg. Let’s put this inside the equation. When The Blood Pressure Is Being Measured And How Often Should You Do It? The blood pressure is a normal procedure when going to the doctors’, and it is a normal parameter for the state of the cardiovascular system. 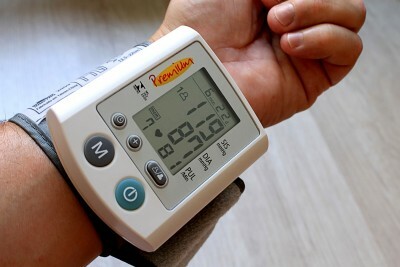 If your blood pressure is normal, about 120/80 mmHg, you should get it checked every 2 years. 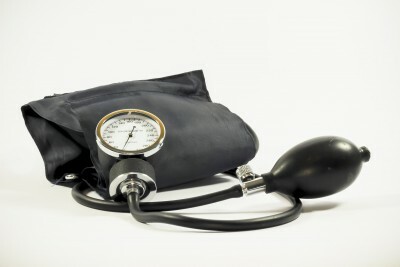 If your blood pressure is on a high borderline, above 120, about 139 or so, or your diastolic above 89, you should get checked every year or more often if your doctor suggests something else. If your pressure is more than 140/90 mmHg, you should go see a doctor and consult about further therapy and treatment. High pressure is a risk for your organs, especially the heart, kidneys, brain. It can cause damage to your body, leading to more severe consequences if not treated early. Next articleHow to Speed Up Cartilage Piercing Healing Process?